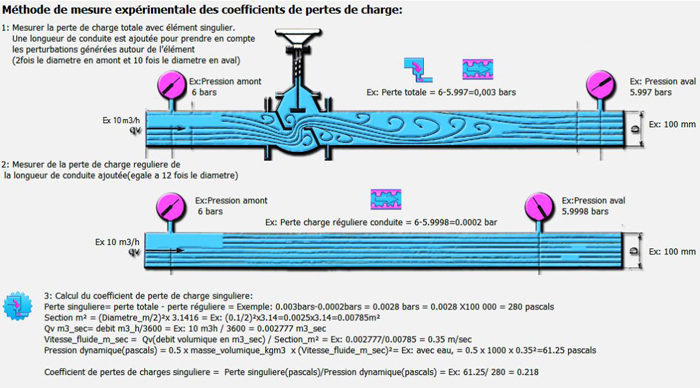 The Major head losses (pressure drop in pipes) are the energy losses due to friction of the fluid in a conduit of constant section. 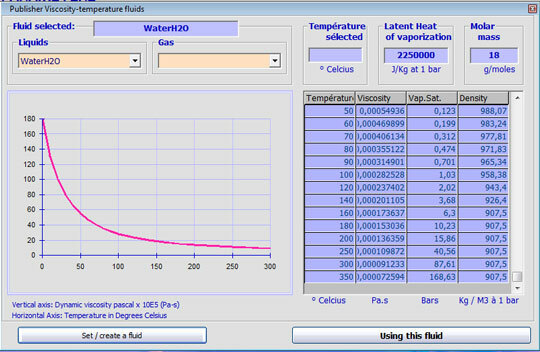 they are expressed in fluid heights (meters) and pascals. 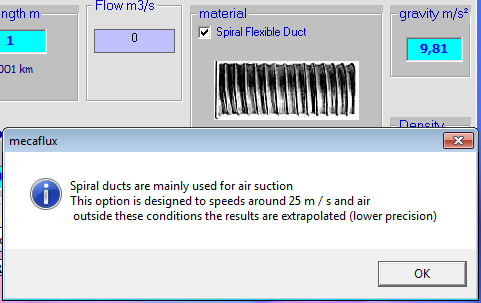 The software calculates the loss of regular load, but some information must be provided in the "entry area parameters"
Enter pipe diameter (or equivalent diameter if the section is not round) in mm The section of the duct can bee circular , rectangular or oblong, a window calculation equivalent diameter is integrated in setting of the pipe. 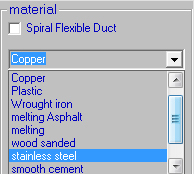 Enter the length of the pipe in meters. 1. il peut vous être proposé de choisir entre deux équations, les résultats s'en ressentent peu, mais vous pouvez ainsi comparer des méthodes de calculs différentes. You may be offered a choice of two equations, the results are similar, but you can compare different methods of calculation. 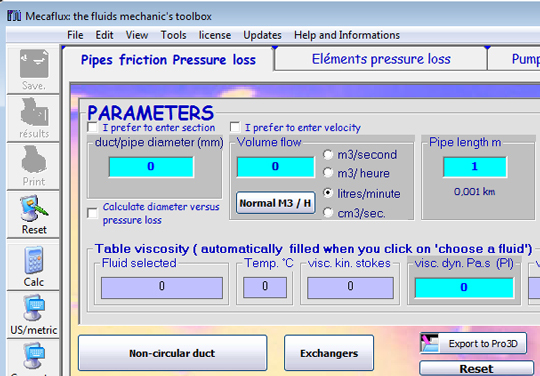 the pressure drops are given in fluid heights (in meters) and pascals. Mecaflux therefore uses an ergonomic and user-friendly interface as well as a spreadsheet to edit the results as, inventory losses in the network.